Staying fit should be fun. It should be something that makes you go for more. You can’t be half-hearted and expect to achieve health benefits. Similarly, you can’t be fit unless you are happy or you can’t feel happiness unless you’re fully fit. It’d be a mistake to join a gym and hope to get fun-filled fitness sessions. You won’t, and in fact none gets to feel good about being at a gym. Why? Simply because the fun part is absent at such a place. So, what to do then or where to go to gain fitness and fun together? Trampolining is perfect when the target is to staying fit and enjoying a quality time out there. A park with trampoline fits in everything that makes your fitness sessions exciting and stimulating at the same time. Such an arena has a spongy and soft surface around which brings great prospects of having fun. And together with enjoying fun-filled activities, amazing health benefits are achieved. Studies have shown how jumping or rebounding on trampolines brings a whole array of health benefits to people of all ages. Your daily jump sessions here bring more benefits than those boring gym sessions amid machines and machines only. The best part, such a park adds an inspiring environment to your fitness schedules and keeps boredom out. You’re never bound to do exercises alone, as a variety of options and activities are available to get a gala time. In between your fitness classes, you can fly and flip to land into a soft foam-laden pit, and the joy derived is so big that you will repeat this act over and again. With a soft surface beneath, you always have the option, and strong urges too, to go air-borne and exhibit the best and most spectacular variety of aerials tricks. You can carelessly practice all those gymnastics move you could not for years due to not finding so favourable surface. In addition, once your fitness sessions are over, you can play dodgeball and show some of fantastic defending skills. You have to duck, escape, evade and save the body from a ball that aims to hit you. The more you avoid being hit, the more points you win. Or the more people you hit with the ball, the more points you win. 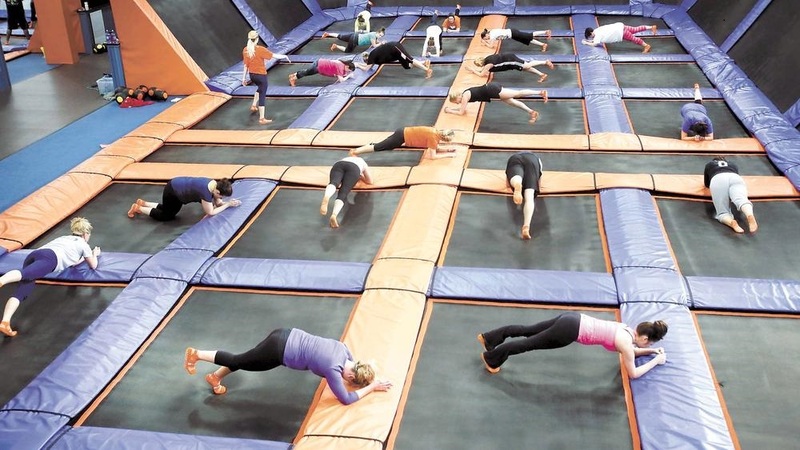 You can see clearly how your fitness classes Leeds look more interesting than regimented as it happens at gyms. If the mood strikes, you can try some moves and tricks at basketball. You can perfect your slam dunk skills together with taking attempt to reach the hoops. And you can try imitating the moves of your favourite player or of someone you so routinely see on the TV. And there is always a chance to bounce off the wall, lock horns with friends in any game of choice and enjoy the party. In overall, being at a park with trampolines brings not only health benefits but also great prospects of having fun. With so much to get, you should visit there more often than you do.